An attractive form of fencing often used as a decorative garden fence. Uprights attached to post and rail. All components may be either cleft or sawn. 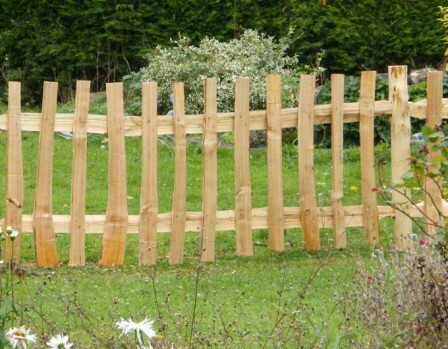 Cleft wood often creates a unique rustic charm particularly suited to this style of fencing.